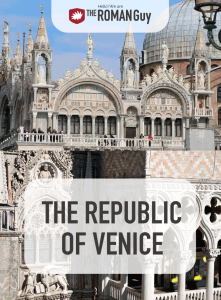 The Republic of Venice was a sovereign city-state that existed from the year 697 A.D. to 1797 A.D. Based in the city of Venice, the republic was a key economic power in Europe through the Middle Ages and the Italian Renaissance. What is most noteworthy about the Republic of Venice was its longevity, thriving as a sovereign state for 11 centuries, over one millennium. The republic was also known for its method of rule, led by the Doge or duke, who was elected by the parliament of Venice. Experience the history of the once-thriving Republic of Venice with one of our top-selling Venice tours. 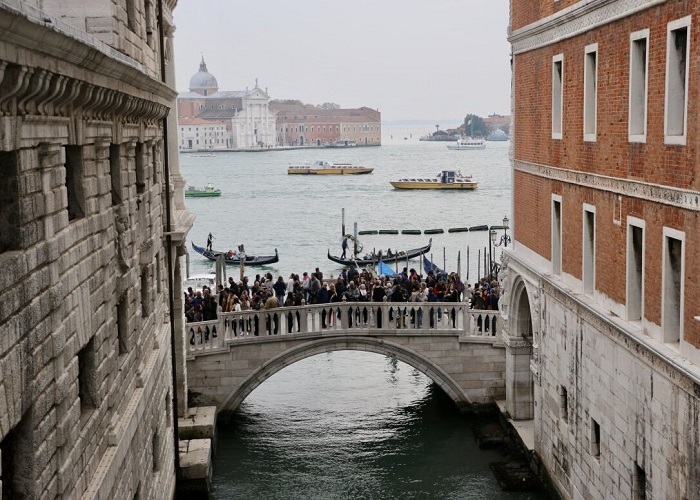 Take in the splendor of The Floating City’s many canals and Venetian Gothic-designed buildings with our Venice in a Day tour. You’ll see historic buildings such as St. Mark’s Basilica and the Doge’s Palace, where the Doge of the Republic of Venice ruled. Soak in Venice’s amazing scenery, take an iconic gondola ride and relive the history of Venice with The Roman Guy! The Republic of Venice began after Germanic tribes invaded the historical Triveneto region of northeast Italy during the 5th century. Many of Triveneto’s citizens fled to Italy’s coastal lagoons in search of safe harbor. This influx of displaced citizens formed a collection of coastal communities who banded together in order to protect themselves from other invading tribes. This collection of coastal communities was subject to the Byzantine Empire, the easternmost provinces of the Roman Empire. At the beginning of the eighth century, the citizens of the province of Venice elected Ursus to be their first leader. Ursus was confirmed by the Byzantine capital city of Constantinople and given the title of dux or duke, making him the first Doge of Venice. The ascendancy of the Republic of Venice began in 742 A.D. when Ursus’ son Deusdedit became Doge of Venice. Deusdedit ruled Venice as the factions within the city were shifting, and the city was the Byzantine Empire’s last possession in the north of Italy. The Frankish Empire intended to strengthen its rule at the time. One of Venice’s factions wanted to remain under Byzantine rule, while the other hoped to align with the Frankish Empire. The urgent need for Venice to protect itself from invasion caused disagreement amongst subsequent doges regarding which alliances to form. Much of the debate was regarding how Venice could best protect itself. By the Pax Nicephori (Peace of Nicephorus) of 803-814, the peace treaty between the Franks and the Byzantines, Venice was seemingly united in support for Byzantine rule. This treaty caused later controversy as some Venetian historians claimed that it recognized Venice as an independent state. Venice continued to thrive around this time as the doge Agnello oversaw the construction of fortifications, bridges and canals. Agnello’s rule also saw the expansion of Venice towards the sea. Venice began to establish its military might around 839 A.D. when it began fighting pirates from the Adriatic Sea and Arabia. Venice’s strength at sea gained extensive trade privileges for the city-state. Venetian ships served as the naval forces for the Byzantine Empire, helping the Byzantines during many campaigns including The Crusades. Venetian crusaders who sacked Constantinople in 1204 brought the four bronze horses os St. Mark back to Venice where they decorate the outside of St. Mark’s Basilica to this day. The Republic of Venice secured many important trade routes on land and sea as the result of its naval fleet. Venice’s strength at sea and advantage at trade led the republic to places such as the island of Cyprus, modern-day northern Italy and the Dalmatian Coast along the Adriatic Sea (modern-day Croatia). The Venetian Republic would enter into a centuries-long feud with the Ottoman Empire beginning as early as 1423. From 1423 to the last Turkish-Venetian War in 1714, the Republic of Venice engaged in a series of wars with the Ottoman Empire that would cost the Venetians many of the lands they had conquered including Crete, Corinth and Cyprus. Venice also lost 30 percent of its population when the plague of 1575-76 dropped the number down to 124,000 from 175,000. The centuries of fighting with the Ottomans greatly decimated the republic’s naval military might. As a result, the size of the Venetian fleet dwindled to only 309 ships by 1792. The Republic of Venice would eventually fall to the armies of France led by Napoleon Bonaparte. On May 12, 1797, the Great Council of Venice met for the final time and voted to abolish the Republic of Venice in light of French demands. Soon afterward, the Doge of Venice and the remaining officials deposed their insignia and informed the crowd outside of the palace. The government of the Republic of Venice changed drastically over time. Originally ruled in autocratic fashion by the Doge of Venice, the republic shifted to a combined rule between the doge and the Great Council, composed of 480 members who came from wealthy or patrician families. This rule greatly limited the powers of both the doge and the council, making them co-dependent. The Republic of Venice followed a form of “democracy” in government by combining a limited monarchy with a representative public from the Great Council. The Republic of Venice thrived due to its military prowess and control of trade routes. Its position as a major naval power awarded the republic its longevity for over a millennium. 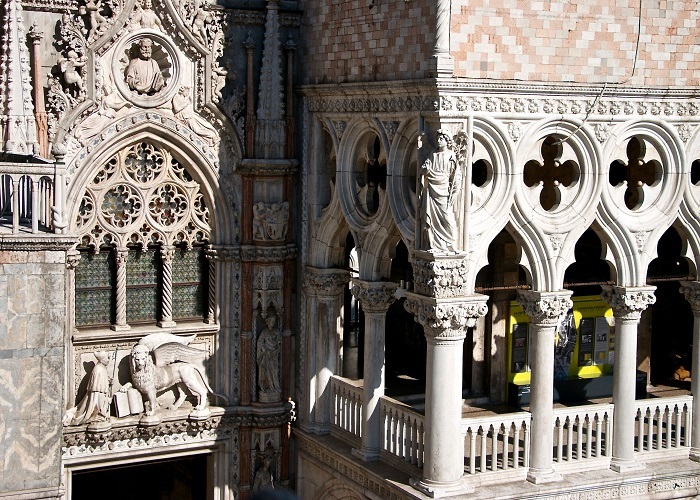 While the republic no longer exists, the city of Venice and the Doge’s Palace remains. Visitors to the Floating City will still see remnants of this once-thriving republic in the form of the many canals and bridges that line the city. 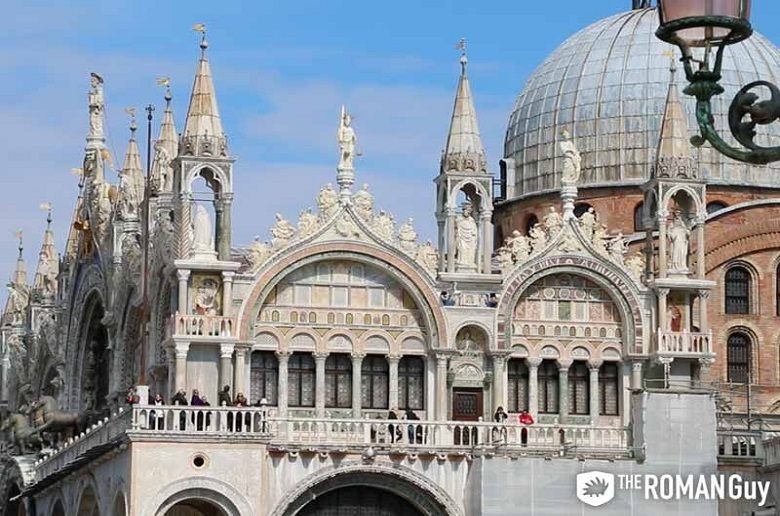 St. Mark’s Basilica, St. Mark’s Square and the Doge’s Palace offer a glimpse into the past glory of the Republic of Venice. Experience the city of Venice’s rich history with one of many Venice tours including our Venice in a Day tour. Make your visit to Venice an unforgettable one with The Roman Guy!